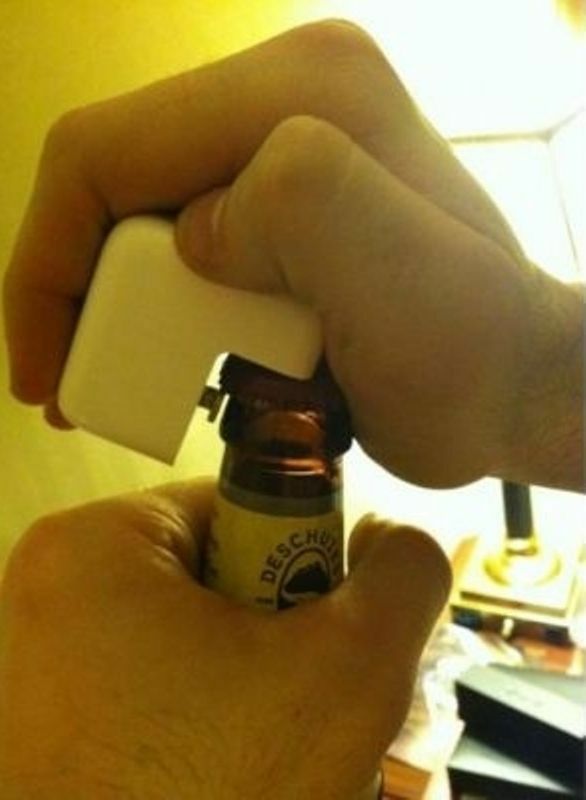 Your Mac Plugin is Also a Bottle Opener. 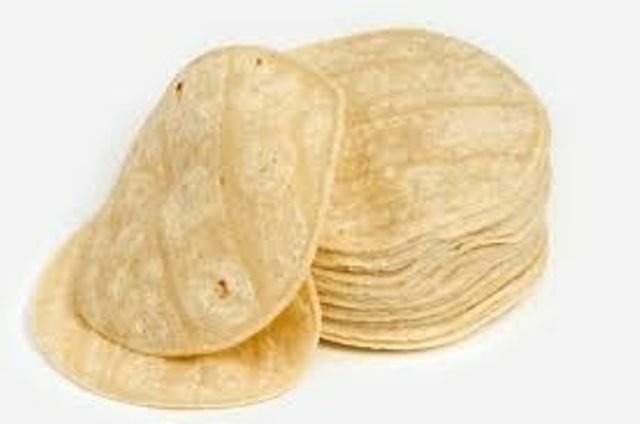 Tortillas are just Edible Plates. 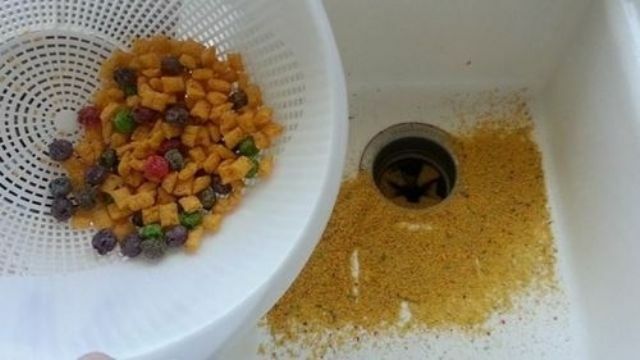 And you’ll never have to wash dishes again. 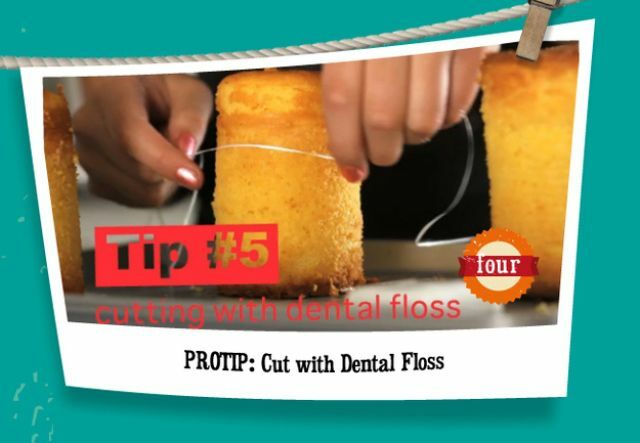 Dental Floss also Doubles as a Knife for Cake. That’s right, cutting cake with floss actually works better because it doesn’t flatten it.These guys actually have a lot of other ideas, such as baking in tin cans and others. 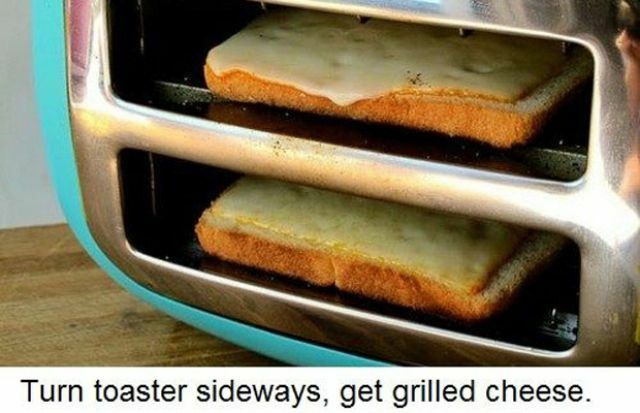 You Can Make Grilled Cheese in Your Toaster. 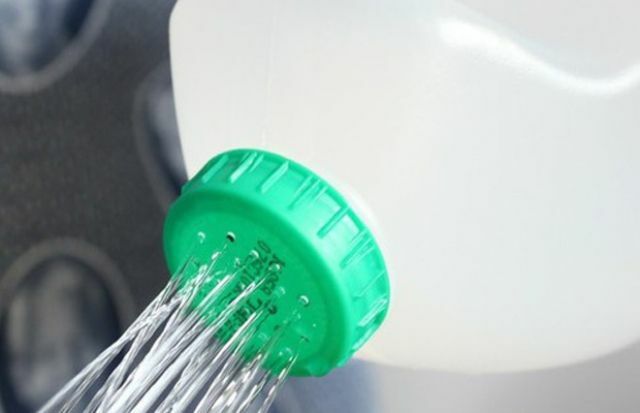 You Milk Jug Can Also Water Your Plants. 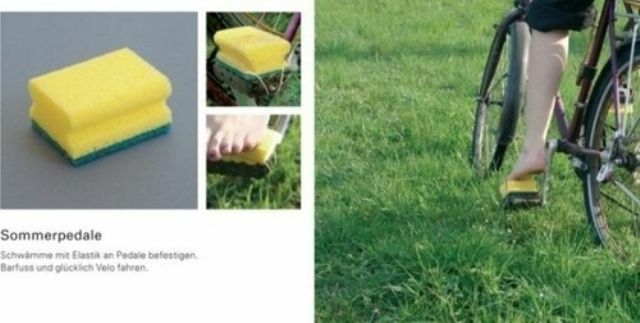 Sponges Make Pedaling Barefoot Possible. 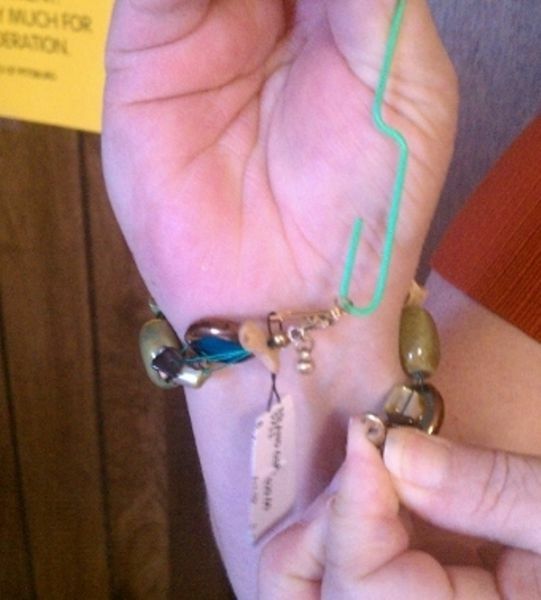 If You Can’t Put Something on by Yourself, Use a Paperclip. 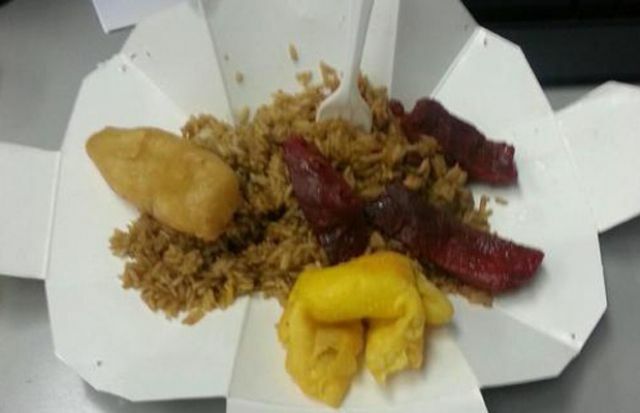 Take Out Boxes DO Expand. Put a Lazy Susan in the Fridge. 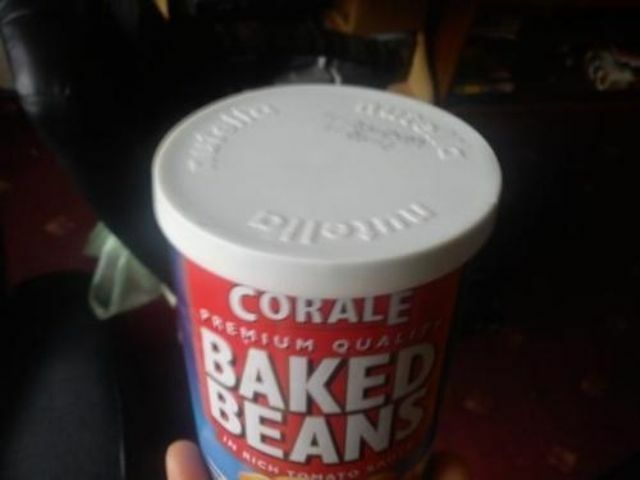 How to Get Ride of the Cereal Dust in Your Bag. 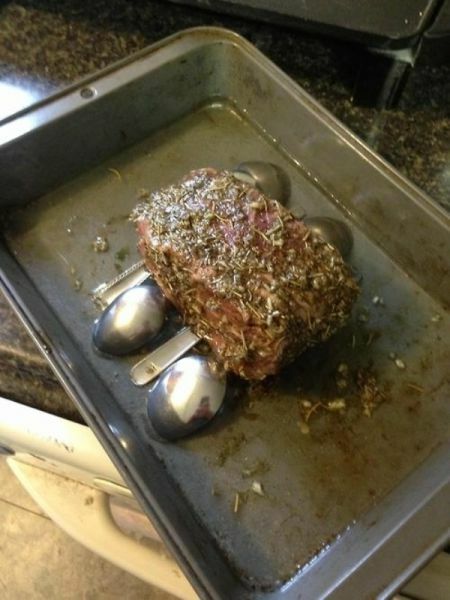 No Roasting Rack? No Problem. 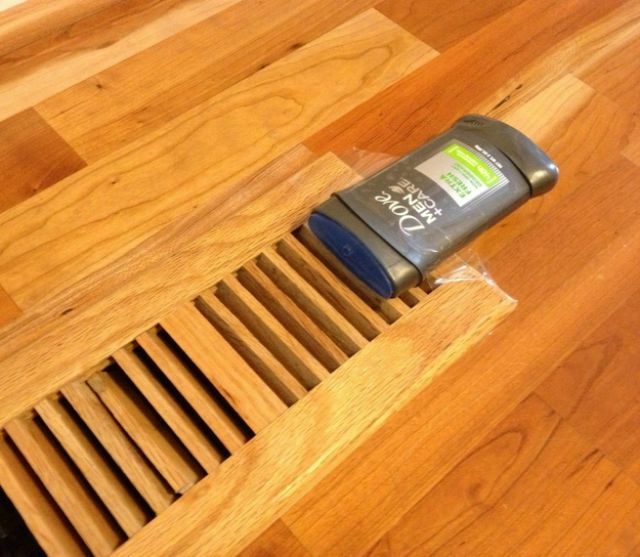 Duct Tape can be Used for EVERYTHING. 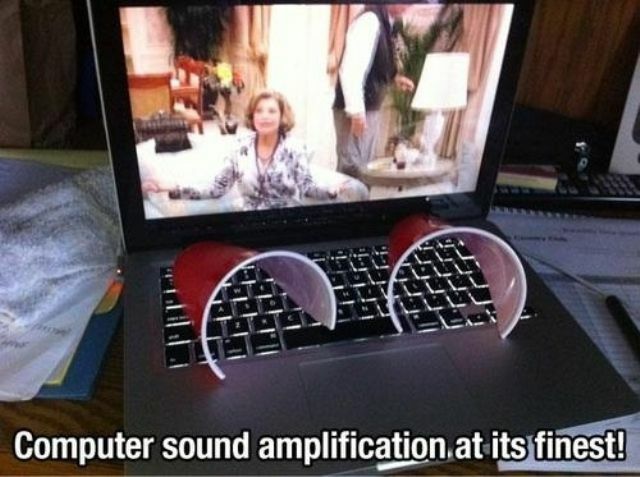 Computer Amplification at its Finest. 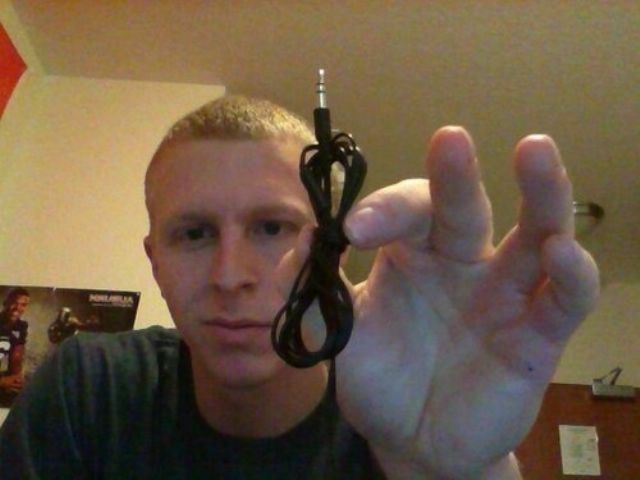 How to Keep Your Ear Buds from Tangling. 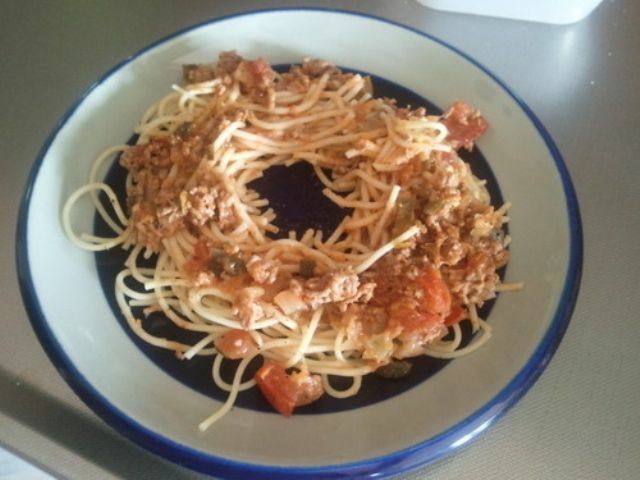 Arrange Your Leftovers in a Circle for Even Reheating. Bachelor Air Freshener (Also Works with Drier Sheets). 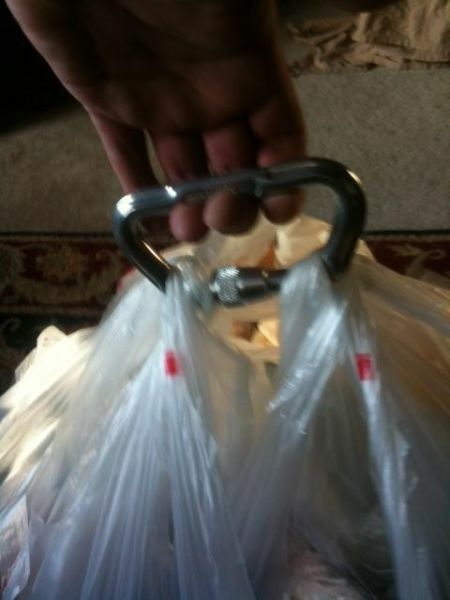 All the Grocery Bags in One Trip. 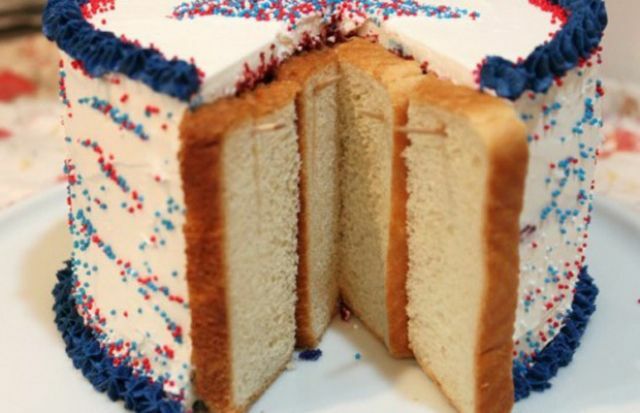 Prevent Cake from Going Stale with Bread and Toothpicks. 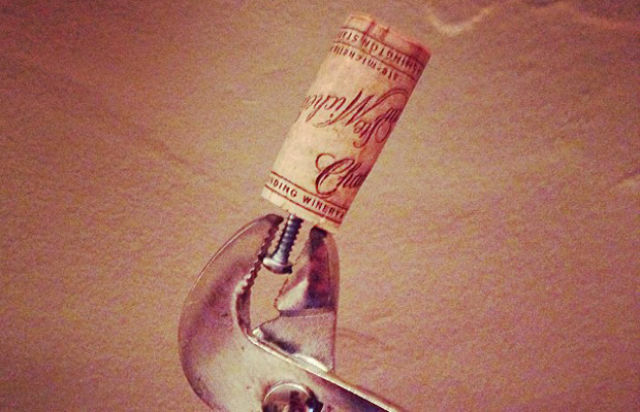 Can’t Find a Corkscrew? No Problem. 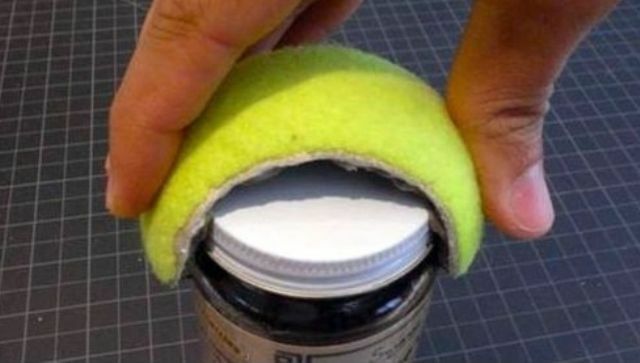 Tennis Balls Also Make for Great Bottle Openers. 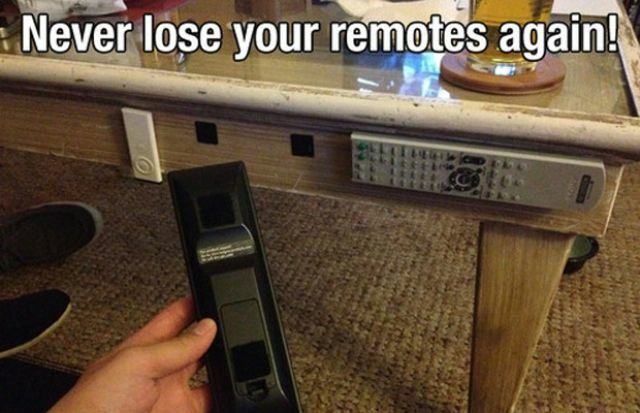 Add Velcro to Your Remotes. 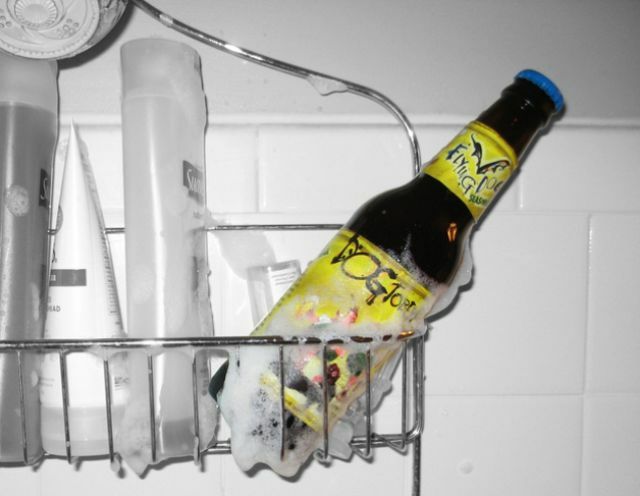 Drink and Clean Yourself at the Same Time with a Shower Beer. Trust me. 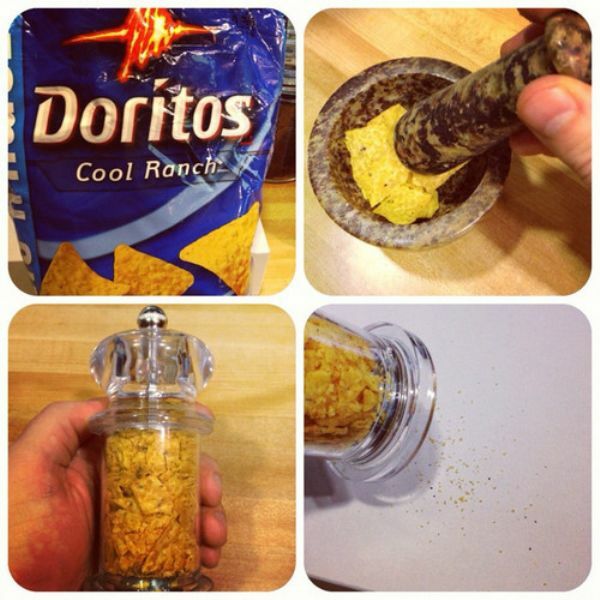 This will change your life. 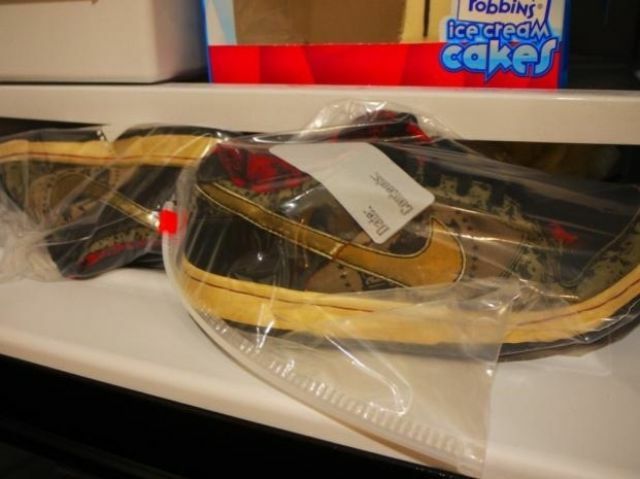 Smelly Sneakers? Freeze Them. Same Goes with Jeans. The cold will help kill the bacteria causing the smells. 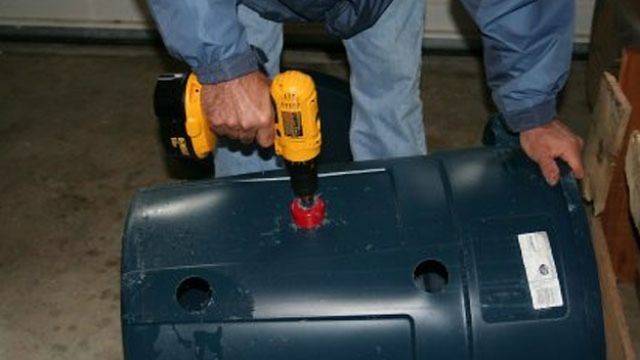 Drill Holes in your Trash Can to Keep Bags from Sticking. 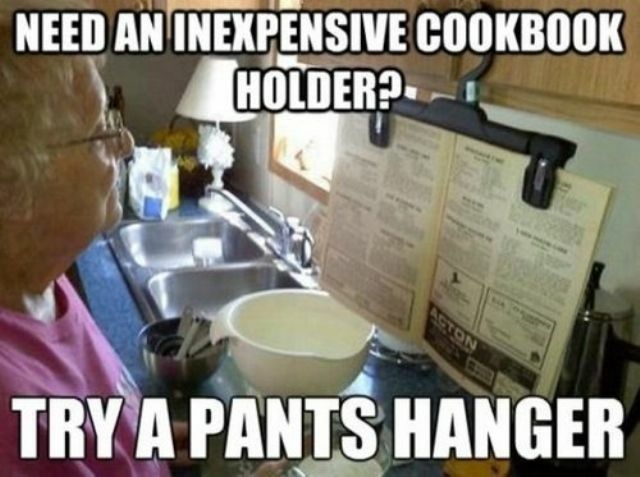 Pants Hangers can also Hold Cookbooks. Nutella Lids Work Perfect for Tin Cans. 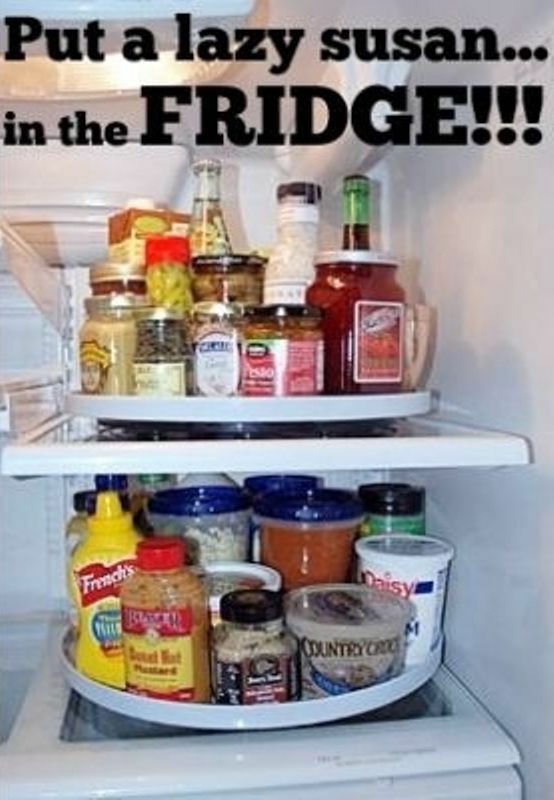 How to Empty Sodas into Your Fridge. 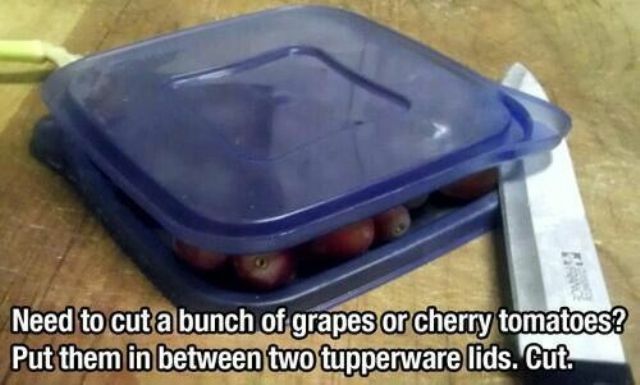 The Easiest Way to Cut Small Fruit. 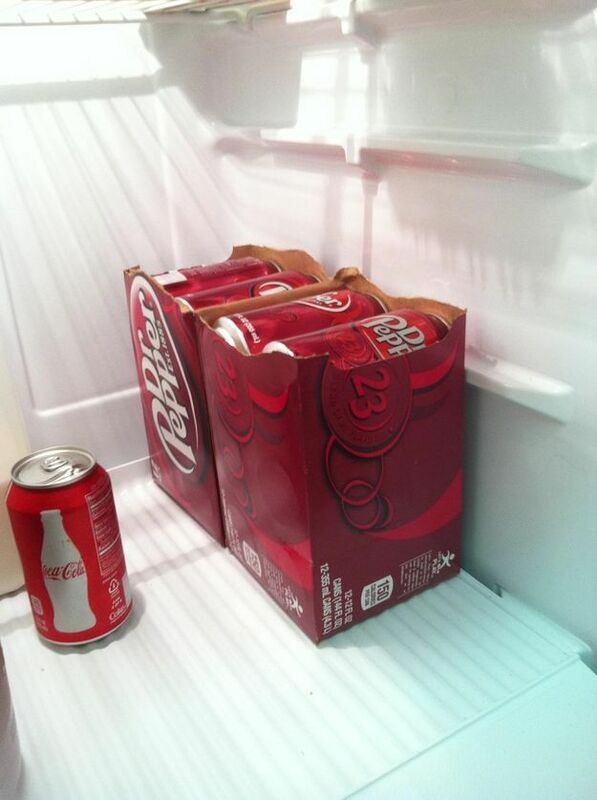 If Your Soda Doesn’t Fit in the Fridge, Tear the Box in Half. How to Properly Use the Pizza Box. #19 & #32 are BS... No bachelor has leftover cake or pizza. Indeed you are right sir!!! 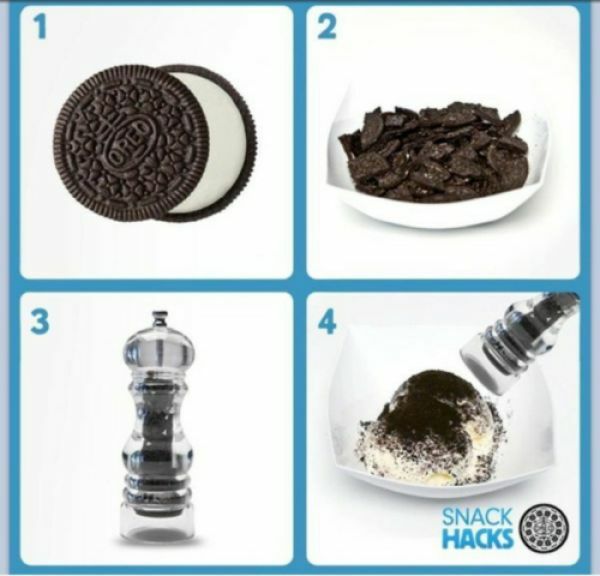 #4 only if you want to ruin your toaster.